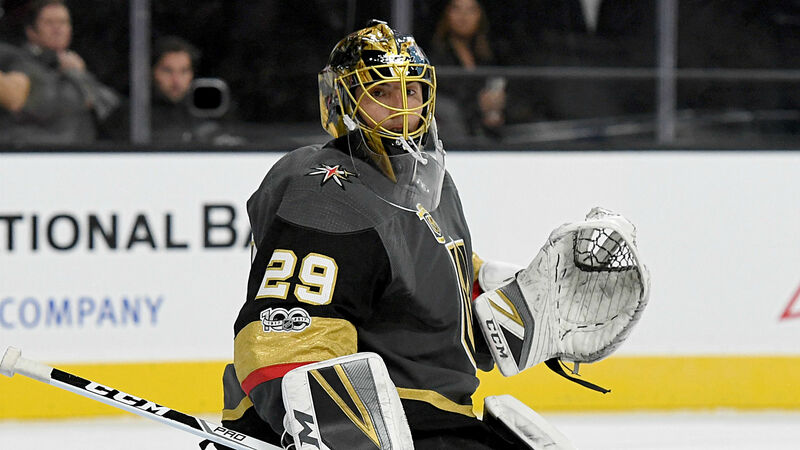 The Golden Knights and goaltender Marc-Andre Fleury have agreed to terms on a three-year, $21 million contract extension that will keep him in Vegas, the team announced Friday. Fleury also revealed the news in a video released through the team, expressing his gratitude to the organization. Fleury, who’ll turn 34 on Nov. 28, had one year left on his contract. He will be with the Golden Knights through the 2021-22 season, and the deal is worth an average annual value of $7 million. The veteran helped lead the Golden Knights to the Stanley Cup Final in 2018 after having the best regular season of his career with a goals-against average of 2.24 and a save percentage of .927. During the playoffs, he won 13 games and registered a .927 save percentage with 2.24 goals-against average. Vegas selected Fleury in the 2017 Expansion Draft from the Penguins after he had spent 13 seasons in Pittsburgh. The Sorel, Quebec, native was drafted by the Penguins in 2003 with the first overall pick.